Your wedding is supposed to be special. As you start the planning process, you might want to consider the top wedding trends of 2018. These will impact what you wear, where you get married, what you have at your reception, and even what the wedding singer does at your wedding. Here are the top 10 Wedding Trends of 2018 in Sydney and Melbourne. Ages ago, there was one backdrop for everything. Now, there are cosy spots that serve as photography backgrounds as well as comfortable places for people to go. It may be a great way for you to escape some of the chaos when you want to be alone with your significant other. Brides and grooms are getting creative by using air B&B rentals as makeshift venues. This will allow you to have a wedding reception essentially anywhere. You can also book a wedding singer in Sydney to perform so that you aren’t without entertainment. Bridesmaids have traditionally worn a color other than white to help showcase the bride. Many brides are becoming bolder, asking their bridesmaids to wear white as well. The only difference is that the bride still wears the most formal dress. The bridesmaids are then allowed to choose any style dress that they are comfortable with, as long as it is white. Weddings are expensive enough as they are. There is no need to spend a significant amount of money on luxurious centerpieces. A minimalist approach is the trend for 2018. Keep your centerpieces simple with thrift store finds or Etsy creations. You can eliminate the cost of a bartender with a DIY bar. Some of our best wedding singers have noticed this trend pop up throughout Melbourne and Sydney. The happy couple sets out various bottles of alcohol and mixers. Guests are then able to create their own concoctions. 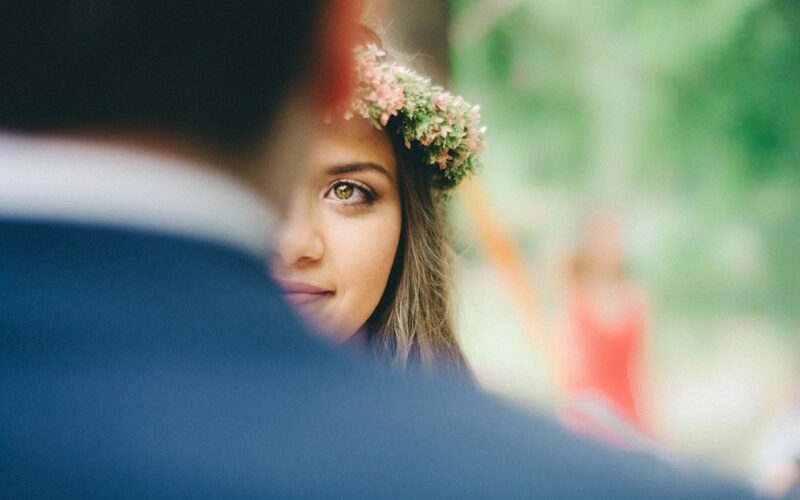 Many brides are getting away from floral crowns. Instead, they are having florists create beautiful flower tiaras and even choker necklaces. It allows you to incorporate the colours of your wedding while thinking outside of the box. The traditional wedding cake has been done over and over again. It’s also expensive. Think about the desert that you and your partner love the most and work with a bakery to have it done in a refined way. This could result in a smorgasbord of donuts, crepes, and other desserts that are equally delicious. Seating charts have caused plenty of couples to go into a panic at the idea of figuring out where to sit everyone. Have a little more fun with the seating charts by creating selfies instead of standard name tents. You may also want to give everyone their own name tent and let them set it at the table of their choosing. You will find that many venues are taking advantage of acrylic furniture. The benefit is that it’s entirely clear, so you don’t have to worry about a colour that’s not part of your wedding intruding into the decor. To help you with coordinating even further, you can specify what a wedding singer in Sydney wears so that all of your photography is perfect. More and more wedding couples are choosing to change up the wedding entertainment. Instead of a DJ who is going to play the same set of songs for weddings that are played at every other wedding, you can choose wedding singers. A wedding band in Sydney can play the genre of music that you love, allowing people to dance and have a good time. Lily Road has become one of the best wedding bands in Australia. As both a Melbourne wedding band and a Sydney wedding band, we can provide all of the best songs for weddingsto ensure that your wedding is memorable. Check out the videos page! For more information please contact greg@lilyroad.com.au.